Our practice is built on the simple truth that if we satisfy and delight our patients, they will get well faster and are more likely to tell others of their experience with us. As results vary, we cannot guarantee these, but we can guarantee your satisfaction with our treatment. 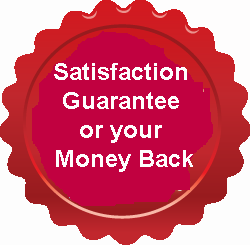 So if within the first week of starting your care and having followed our recommendations, you are not totally happy with your decision to begin care with us, we will refund your treatment fees. Not your initial assessment fee. If you would like to discuss this or any other aspect of your health prior to committing financially, you are welcome to discuss this during a FREE Initial Consultation.